We are extremely pleased to announce that TheParrotCafe.com will introduce its own line of 100% Parrot Friendly Parrot Paradise Coffee. In our continuing pursuit of coffees that we not only are willing to offer for sale but actually drink ourselves, we have decided to create our own blends. 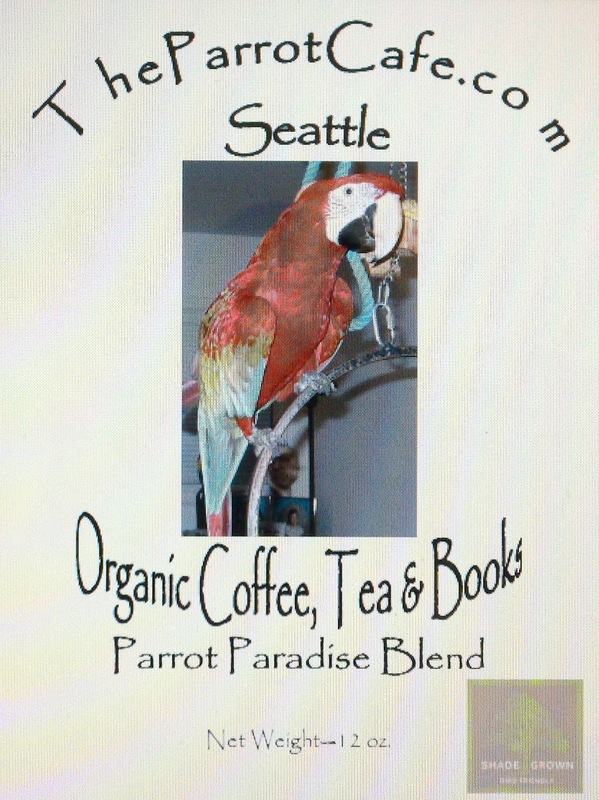 Our first offering, soon to be available at TheParrotCafe.com, is Parrot Paradise Blend. This coffee features our Greenwing macaw and Diva parrot Roxanne. A very special blend of Shade Grown coffees from Guatemala in Central America. A unique blend of lighter and darker roast. These Central American coffees create a rich caramel, sweet chocolate flavor, medium body, resulting in a well-balanced and hearty cup. 100% Parrot Friendly: USDA Certified Organic, Shade Grown, Kosher Certified. Look for it soon at TheParrotCafe.com.